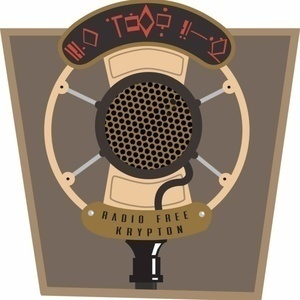 Welcome to “Inside the Orbit of Prisoners of Gravity,” a Radio Free Krypton documentary bringing you the inside story on “Prisoners of Gravity,” the cult-classic Canadian show which ran from 1989 to 1994 and changed the way science fiction, comics and pop culture are discussed in media. In Part Four, the final chapter of our doc, we analyze PoG's legacy and ask if a show like it could air today. This episode was reported by Justin Chandler and Mitchell Thompson. It was written by Justin Chandler, Jacob Dubé and Mitchell Thompson, with audio production by Jacob Dubé. Thank you again to all the people we interviewed: Rick Green, Mark Askwith, Robert J. Sawyer, Gregg Thurlbeck, Rach Shelkey, Cory Doctorow, Ed Conroy, Charlotte Ashley, Benjamin Rivers, Robin Shantz and Sam Noir. Your time and stories are much appreciated. “Inside the Orbit” was made possible with support from our host station, Ryerson University’s CJRU 1280 AM. Watch in September for the chance to support CJRU and community radio shows like ours in the annual CJRU Fund Drive.